I graduated from The University of Queensland in 1989 with BDSc(Hons) (University Medal). After nine years in general dental practice, I returned to UQ School of Dentistry and undertook a PhD before joining the academic staff in 2005. I am a Councillor and Convenor of the Oral Health Committee for the Australian Dental Association (Qld Branch). My research focuses on oral health and its role in general health and wellbeing. I am interested in the social determinants of oral health, along with health system and health workforce issues influencing oral health. My work is with groups who may have difficulty accessing appropriate oral health care, such as Indigenous Australians, people with mental illness and the homeless community. The health behaviours associated with adverse oral and general health outcomes, such as tobacco use, poor diet and infrequent attendance for health care are being investigated. This work provides a framework for developing interventions that are based on a common risk factor approach. I am a member of the Health and Addictive Behaviour Interventions (HABIT) Research Group. Dentists have a critical role to play in their patients’ and their community’s overall health and wellbeing. Having a healthy mouth is clearly part of having a healthy body, and is an essential requirement in being able to enjoy good food and a good quality of life. Increasingly there are inequities in health and oral health outcomes across different groups within Australia. Those who most need oral health care are those with the most barriers to accessing it. This is unfortunately often the case for those in residential aged care facilities. Dentists have a responsibility to raise awareness of these issues and to work with others in the health and aged care sectors to advocate for practical and effective solutions. Pauline graduated from University of Queensland in 1989 with BDSc(Hons) (University Medal). After nine years in general dental practice, she decided to return to the UQ School of Dentistry to undertake a PhD before joining the academic staff in 2005. 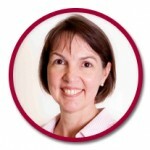 Pauline is a Councillor and Convenor of the Oral Health Committee for the Australian Dental Association (Qld Branch) and her research focus is oral health and its role in general health and wellbeing.